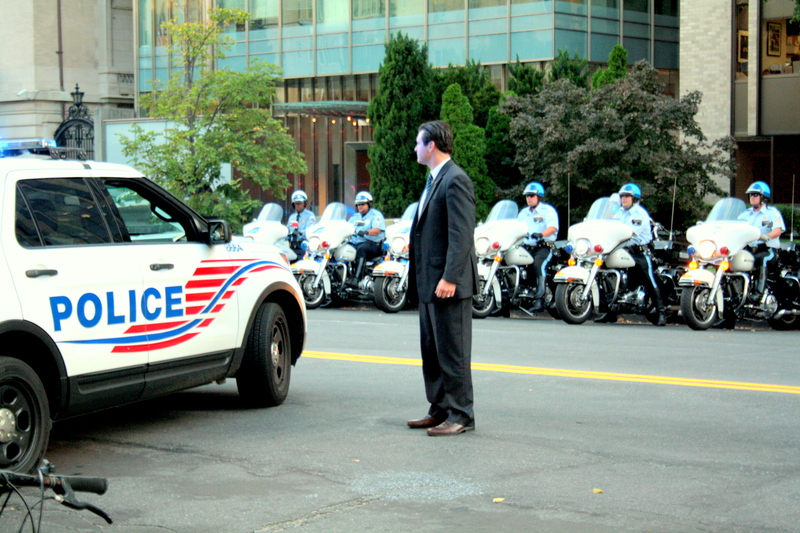 In addition to heightened security on SAIS DC’s campus, a few students have personally encountered safety issues. The first incident was in mid-September. Joe Geni (SAIS ‘13), the school’s resident DJ, was assaulted on S Street while walking home late one night. Over the following month, other members of the SAIS community have faced muggings and thefts across DC. Miriam D’Onofrio (SAIS ‘13) found her bicycle stolen from her locked yard. “The gate is pretty tall and solid – you’d have to come inside to even see the bike. Someone’s on the prowl,” said D’Onofrio. These experiences are backed up by the city’s police reports. While crime is far less common than during the 1990s, Washington remains a high-risk city. The rate of property crime, including theft and burglary, is over 50% higher in DC than the American average, and its violent crime rate is over three times above the national norm. With this in mind, some basic steps can help students stay safe through their studies here. Most importantly, everyone should immediately call Washington’s police department at 911 in case of an emergency. “The Metropolitan police are our campus police, and they are very responsive,” said Senior Associate Dean of Operations and Finance Myron Kunka. “If an incident has just happened, a student should absolutely call 911. Call the police, and file a report. It is very, very important.” Even if the immediate threat appears to be over, contacting the police can help authorities prevent future attacks and recover stolen property. SAIS also has services available for students that have dealt with off-campus crime. Lisa Kahn, the director of student life, is the school’s first-contact, who can help students deal with their response to the offense. In particular, she can guide students access the American health care system and different medical facilities around town. Students can also take some precautionary measures to stay informed about incidents in the city. The DC Alert system, available at http://textalert.ema.dc.gov, provides texts or emails when a major crisis erupts around Washington. Warnings for specific zones, such as the Dupont Circle, are available. Bikes and other valuables can also be registered at the local police station, which can limit the risk of stolen property.